Q.1. What is a healthy diet? A healthy diet is usually based on plant food. Therefore, it essentially comprises eating lots of vegetables, fruits, potatoes, cereals, beans and lentils. Additionally, it also includes milk and milk products and fish, lean red meat and poultry. The healthy diet can be divided into 5 different food groups. Food from this group are a primary source of energy. They contain important nutrients such as: calcium, iron, zinc and B vitamins. Unrefined cereals and wholemeal bread are good sources of fibre which help prevent constipation. Fruits Fresh fruits or 100% fruit juices. Fruits can be fresh, canned, frozen or dried. Fruits are a good source of many vitamins and minerals, including folate and iron. Vegetables Vegetable can be raw or cooked, frozen, canned, dried, or 100% vegetable juice. Vegetables are a good source of many vitamins and minerals. Additionally, it also contains many protective components such as fibre and flavonoids. Protein food Protein food include meat, poultry, seafood, beans and peas, eggs, processed soy products, nuts, and seeds. It is a good source of iron. Try to eat a wide variety, especially beans, lentils, nuts and fish; these are especially healthy for you. Dairy products are a rich source of calcium in your diet. Calcium is vital for healthy bones and teeth of your baby. Oils and fats are not part of 5 food group but do provide you vital nutrients. During pregnancy, the fats that you consume provide energy and support development of many fetal organs and the placenta. Maximum of the fats and oils in your diet should be from the plant sources. World Health Organization. Healthy Eating during Nutrition and Food Security Pregnancy and Breastfeeding. Cited 2016 May 6. Available from: http://www.euro.who.int/__data/assets/pdf_file/0020/120296/E73182.pdf. American Congress of Obstetricians and Gynecologists. Nutrition During Pregnancy. Cited 2016 May 6. Available from: http://www.acog.org/Patients/FAQs/Nutrition-During-Pregnancy. Q.2. Do I have to avoid some food items during pregnancy? Eating a healthy balanced diet is essential at all points of time but its importance is even more during pregnancy, since you are “eating for two” at this time. Most food items are safe during pregnancy but there are certain food items that should be avoided during pregnancy as it can harm your baby. Alcohol can cross the placenta and can lead to physical, growth and mental problems in some babies. Caffeine intake may cause miscarriages, so avoid during the first trimester. It acts as a diuretic, thus, it eliminates fluids from the body resulting in water and calcium loss. Though many believe caffeine in moderation is ok, its consumption should be restricted to lesser than 200 mg per day during pregnancy. Some believe you should not have more than 3-4 cups a day. Tea and coffee can impair the absorption of iron from food items, such as beans and cereals, and iron supplements. Babies who are born to mothers who were heavy smokers are at higher risk of having low birth weight. Smoking can also cause premature birth, miscarriage and stillbirth and can affect your child’s growth and development. Undercooked food can lead to foodborne illness. Unpasteurized dairy food can lead to listeria infection which may result in miscarriage, stillbirth, or other serious health problems. There are many medications that can be harmful to your baby and are contraindicated for pregnant women or women who are breastfeeding. It’s best to talk to your doctor about what medication you can and should not take. American Pregnancy Association. Foods To Avoid During Pregnancy. Cited 2016 May 6. Available from: http://americanpregnancy.org/pregnancy-health/foods-to-avoid-during-pregnancy/. Ward EM. Foods to Avoid When You're Pregnant. Cited 2016 May 6. Available from: http://www.webmd.com/baby/features/foods-to-avoid-when-youre-pregnant?print=true. Q.3. How much water do I need to drink during pregnancy? Water is required by all the systems of the body. During pregnancy, water helps to support the development of the unborn baby within you. Additionally, water also helps to prevent constipation, haemorrhoids, swelling, and urinary tract infections. If during pregnancy, water is not consumed adequately it can result in early labour (premature labour). Water requirement of your body is met by the liquids you drink and food you eat. The amount of fluid required depends on several factors — the level of activity, size and weather. The requirement of fluid increases during hot weather and when you are physically active. Drink ample amount of water; about 6 to 8 glasses per day. Water, juices, coffee, tea and soft drinks all contribute your fluid intake. Among these water, milk products and unsweetened juices are good options. 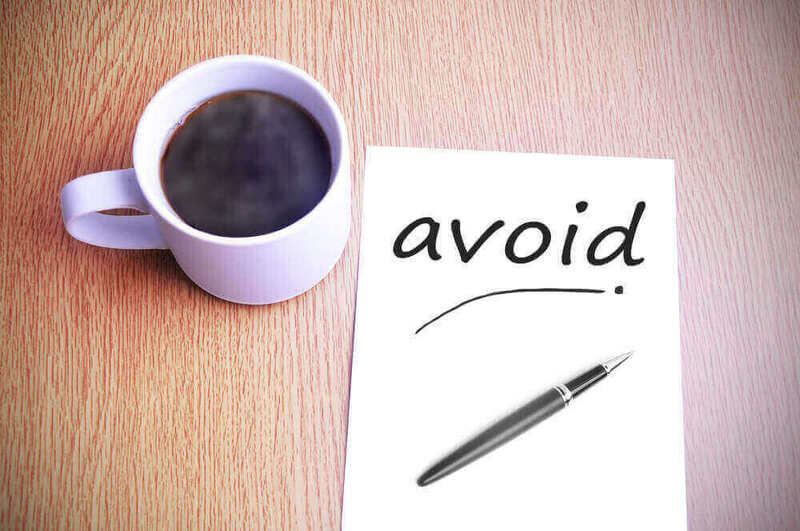 Restrict the intake of tea and coffee especially in-between the meals as it can impact the iron absorption; also, caffeine is a “diuretic” that can cause you to lose some water. Avoid lemonade or high sugar drinks in excess. Here’s a good way to tell that your fluid intake is adequate: check your urine and the frequency of thirst. If urine is pale yellow or colourless and you rarely feel thirsty, it’s a fairly good indication that you are consuming sufficient amount of fluids. The U.S. Department of Health and Human Services. Staying healthy and safe. Cited 2016 May 6. Available from: http://womenshealth.gov/pregnancy/you-are-pregnant/staying-healthy-safe.html. Q.4. What does "eating for two" mean? Do I need to eat double my usual amount? Often people say that during pregnancy you should “eat for two” or double the amount of food you normally eat. But contrary to this saying, eating healthy food is more important. It is from the third month of pregnancy there is a need to increase your caloric consumption by extra 200-300 kcal per day. This small extra amount can be attained, by eating for instance 1 glass of milk with 1-2 slices of extra bread per day. You definitely need to increase the amount of certain essential nutrients during pregnancy, such as protein, iron, calcium, and folic acid. You also need more calories but your calorie needs depends on your weight gain aim. Be aware that not all calories are alike as babies require healthy food and nutrients, and not just empty calories, such as candies, soft drinks and desserts. Though you need to be cautious about the amount and choice of food you eat during pregnancy, at the same time, avoid strictly restricting your diet. If adequate calories are not consumed then your baby may not get the required protein, vitamins and minerals. Low­calorie diets can break down the stored fat in the body resulting in the production of a substance called “ketone”. If ketone production continues it can result in mental deficiency in your baby. Sensible, balanced meals along with regular physical fitness is the best recipe for good health during pregnancy. Q.5. Why are vitamins and minerals vital during pregnancy? How can I get the required vitamins and minerals I need during pregnancy? During pregnancy, in addition to healthy food choices, vitamins and minerals supplements are also important. 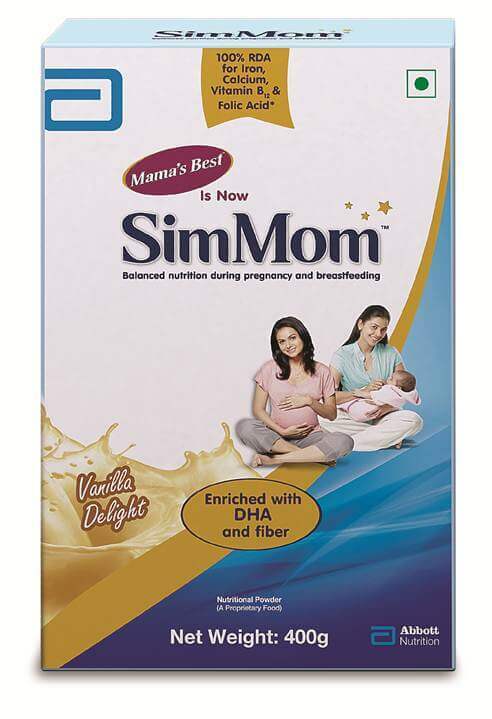 Choosing a healthy and wide range of food during pregnancy will help to meet the requirement of vitamins and minerals. But the need for some vitamins and minerals increases during pregnancy, which may not be met by diet hence can be supplemented. 400 to 800 micrograms (mcg) (0.4 to 0.8 mg) in the early stages of pregnancy and should be continued taking all throughout pregnancy. Besides these, many vitamins and minerals are required. Please ask your doctor about required vitamins and mineral supplements during pregnancy. NHS Choices. Vitamins and nutrition in pregnancy. Cited 2016 May 6. Available from: http://www.nhs.uk/conditions/pregnancy-and-baby/pages/vitamins-minerals-supplements-pregnant.aspx. American Pregnancy Association. Nutrients & Vitamins For Pregnancy. Cited 2016 May 6. Available from: http://americanpregnancy.org/pregnancy-health/nutrients-vitamins-pregnancy/. Warner J. Birth Defects Linked to Low Vitamin B12. Cited 2016 May 6. Available from: http://www.webmd.com/baby/news/20090302/birth-defects-linked-to-low-vitamin-b12. U.S. National Library of Medicine. Vitamin B12. Cited 2016 May 6. Available from: https://www.nlm.nih.gov/medlineplus/ency/article/002403.htm. Q.6. What should I know about eating fish during pregnancy? Fish and shellfish are a good source of protein and omega-3 fatty acids; hence, they can be an important part of a healthy diet. 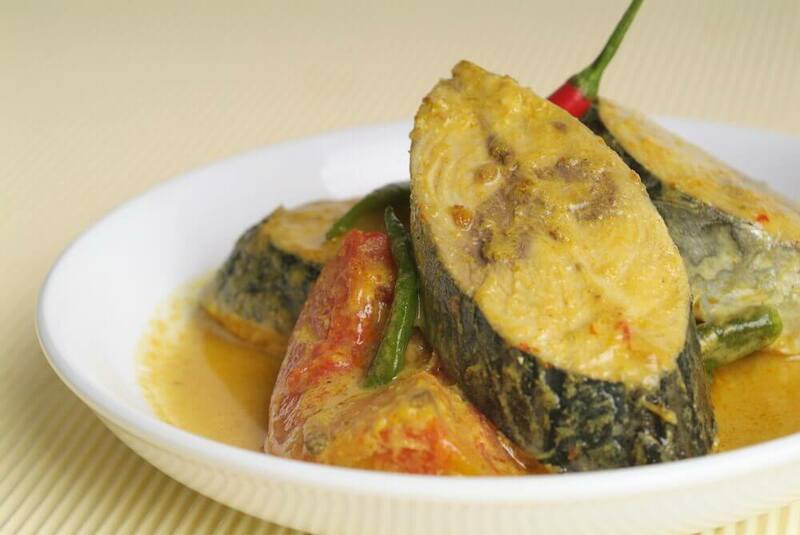 Experts say that lesser consumption of fish is related to depression in women during and after pregnancy. Women need 12 ounces (340 gm) of fish during pregnancy and lactation to achieve the health benefits. But some women avoid fish during pregnancy and nursing as certain fish are known to contain mercury. Mercury is a metal and if it is at high levels, it can impair the brain development of the unborn baby. But the risk of mercury exposure is influenced by the amount and type of seafood you eat. Women during pregnancy can safely eat a wide range of cooked seafood, by avoiding fish having high levels of mercury. You can eat about 6 ounces (about 1 serving; 170gm) per week of the following: Canned albacore or chunk white tuna. Do not eat uncooked fish or shellfish including the refrigerated uncooked seafood. Eat a wide variety of cooked seafood. Q.7. What is folic acid and how much amount of it is required daily during pregnancy? Folic acid, also called as folate, is a vitamin B that is particularly essential for pregnant females or those who are planning to get pregnant. It is known as a ‘pregnancy superhero’. Folic acid is water-soluble and your body does not store folic acid, and therefore, there is a constant need of vitamin B from the food you eat. Food rich in folic acid include fortified cereals, spinach, lentils, etc. Folate helps your body to develop new healthy cells. Consumption of folic acid before and after pregnancy helps to prevent birth defects that can affect the baby's brain and spinal cord. Main role of folic acid is to develop red blood cells and aid the baby’s neural tube for getting developed into his/her brain and spinal cord. Moreover, deficiency of folic acid can also lead to problems such as diarrhea, graying of hair, ulcers in the mouth, poor growth and swelling in the tongue. During 3-4 weeks of pregnancy, birth defects can occur. So, early supplementation with folic acid before you get pregnant and at the time of first trimester helps to prevent birth defects. It also minimizes the chances of miscarriage and protects your baby from premature birth and low birth weight. Nutrition During Pregnancy. Available from: http://www.acog.org/Patients/FAQs/Nutrition-During-Pregnancy#much. As accessed on 05/05/2016. Folic Acid and Pregnancy. Available from: http://www.webmd.com/baby/folic-acid-and-pregnancy?page=2&print=true. As accessed on 05/05/2016. Folic acid in diet. Available from: https://www.nlm.nih.gov/medlineplus/ency/article/002408.htm. As accessed on 05/05/2016. Folic Acid. Available from: https://www.nlm.nih.gov/medlineplus/folicacid.html. As accessed on 05/05/2016. Q.8. What is the importance of iron during pregnancy? How much iron do pregnant women need? Iron is an important mineral that is used by your body to make haemoglobin, a substance in blood which carries oxygen throughout the body. It also carries oxygen in muscles, and helps for their proper functioning. It also increases your body’s resistance to stress and disease. Did you know that about 50% of pregnant females do not get adequate amount of iron. During pregnancy, your body tends to absorb iron more efficiently. So, there is more requirement of iron in pregnant females, and it is essential to make sure that you and your baby ultimately get enough of oxygen. Developing iron-deficiency anemia puts your baby at risk of being born too early or too small. Sufficient intake of iron helps to reduce symptoms of irritability, tiredness, weakness, and depression. You can ensure that you are getting adequate amount of iron throughout the pregnancy by following a balanced diet, including food items rich in iron. The recommended dietary allowance (or RDA) for iron among Indian pregnant women is 35 mg/day, and in lactating women, it is 25 mg/day during 0 to 12 months of lactation. Consuming at least three servings of iron-rich foods. 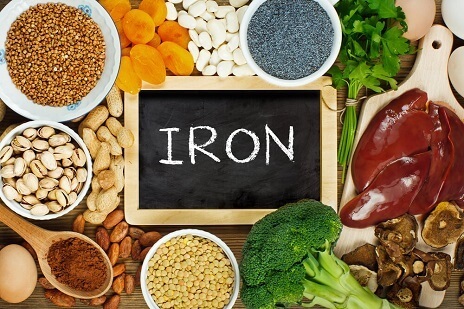 Important sources of iron are enriched grain products, lean meat, fish, poultry, and leafy green vegetables. Other food items are red meat, poultry, fish, kidney beans and peas, iron-fortified cereal and oatmeal, and soy beans. Also, the absorption of iron is more if iron-rich food are eaten along with vitamin C-rich food, such as citrus fruits and tomatoes. On the contrary, there are certain food items that can prevent the absorption of iron in your body, which include coffee, tea, milk, whole grains, and dairy products. Increasing Iron in Your Diet During Pregnancy. Available from: https://my.clevelandclinic.org/health/diseases_conditions/hic_Am_I_Pregnant /hic_Good_Nutrition_During_Pregnancy_for_You_and_Your_Baby/hic_Increasing_Iron_in_Your_Diet_During_Pregnancy. As accessed on 05/05/2016. Are You Getting Enough Iron? Available from: http://www.webmd.com/baby/are-you-getting-enough-iron?page=2&print=true. As accessed on 05/05/2016. National Institute of Nutrition. Dietary Guidelines for Indians – A Manual. Available from: http://ninindia.org/DietaryguidelinesforIndians-Finaldraft.pdf. As accessed on 05/05/2016. Q.9. What is calcium and how much amount of it is required daily during pregnancy? Calcium is an essential mineral that is required by the body for building up strong bones and teeth. This mineral helps for normal clotting of blood, normal functioning of muscles and nerves, and normal working of your heart. During pregnancy, calcium plays an important role and it helps to build your baby’s teeth and bones. Substantial amount of calcium is needed by your growing baby. While you are pregnant, if you do not get calcium to fulfill the needs of your developing baby, then calcium is taken up from your bones, which decreases the bone mass. 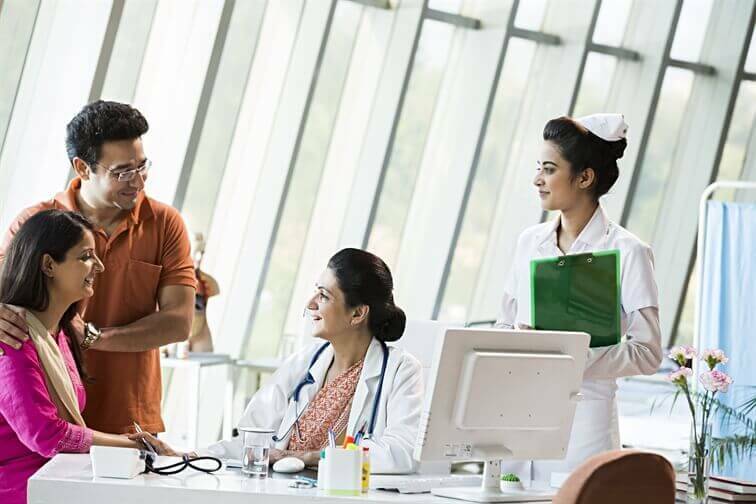 This may put you at risk to develop osteoporosis – a condition where you have thinning of bone that results in weak and brittle bones that can break easily. It is also important to know that even if you do not develop any problem during pregnancy due to inadequate supply of calcium, it can lessen your bone strength and put you at risk of developing osteoporosis later in life. The recommended dietary allowance for calcium in pregnant women is 1200 mg/day. To get 1200 mg of calcium from your diet, you must have at least four servings of dairy products and calcium-rich food each day. Food rich in calcium mainly include milk, cheese, yogurt, and cream soups. Seafood, beans and dried peas also provide good amount of calcium. Your body needs vitamin D to absorb calcium, and therefore, you can get adequate amount of vitamin D by correct sun exposure and by consuming fortified milk, eggs and fish. 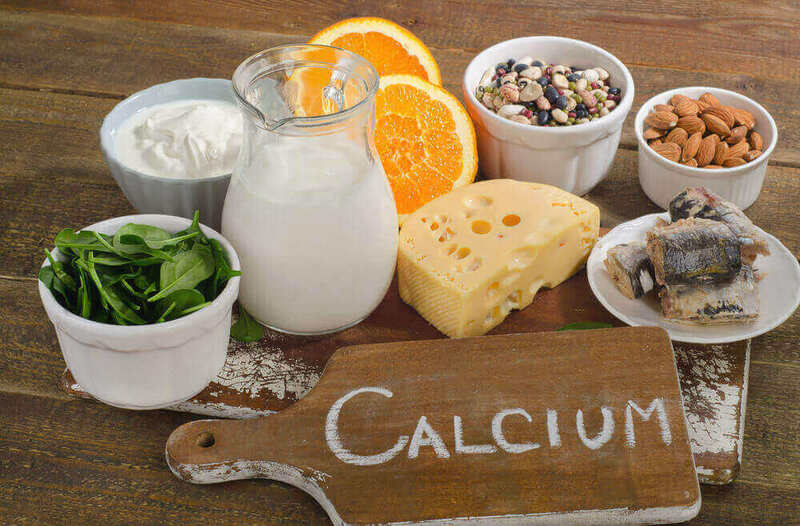 If you cannot digest milk or are lactose intolerant, then having broccoli, dark and leafy green vegetables, or a calcium supplement can be very useful to maintain proper calcium levels. 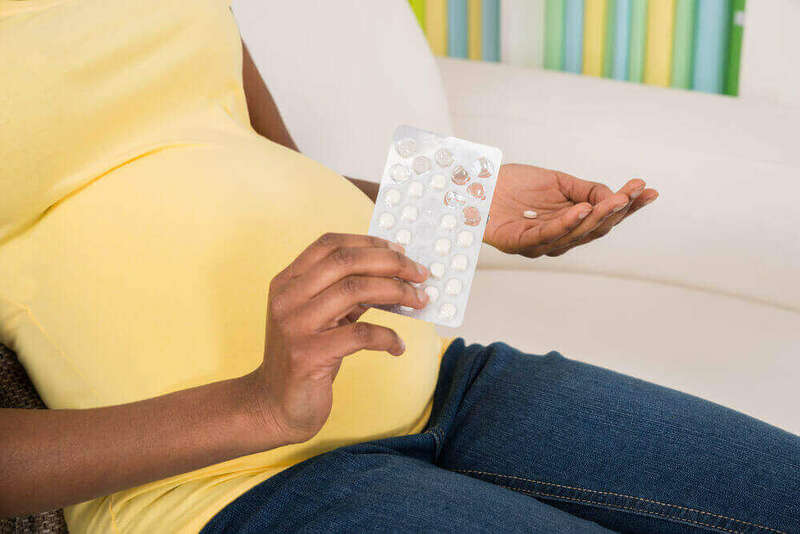 Many pregnant women are advised to have calcium supplements. Talk to your doctor about this. Increasing Calcium in Your Diet During Pregnancy. Available at: https://my.clevelandclinic.org/health/diseases_conditions/hic_Am_I_Pregnant/hic_Good_Nutrition_During_Pregnancy_for_You_and_Your_Baby/hic_Increasing_Calcium_in_Your_Diet_During_Pregnancy. As accessed on 06/05/2016. Nutrition During Pregnancy. Available at: http://www.acog.org/Patients/FAQs/Nutrition-During-Pregnancy#during. As accessed on 06/05/2016. Eating Right When Pregnant. Available at: http://www.webmd.com/baby/guide/eating-right-when-pregnant?page=4&print=true. As accessed on 06/05/2016. Nutrient requirements and recommended dietary allowances for Indians. 2009. Available at: http://icmr.nic.in/final/rda-2010.pdf. As accessed on 06/05/2016. Q.10. What is vitamin D and how much amount of it is required every day during pregnancy? Vitamin D is an important vitamin that shows several health benefits. 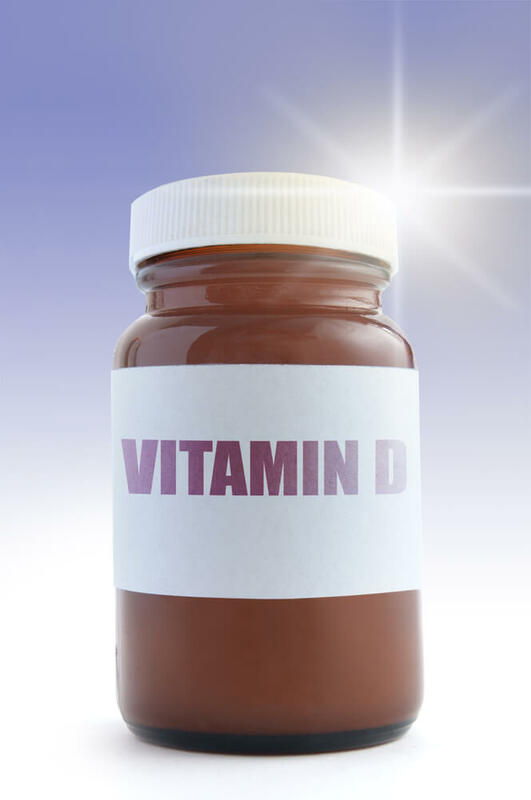 In general, getting enough vitamin D helps to maintain bone health and is also known to decrease the risk other alarming conditions such as cancer, heart disease, stroke and diabetes. During pregnancy, it is essential for mothers to get enough amounts of vitamin D for their as well as their baby’s well-being. This vitamin together with calcium helps in the development of baby’s teeth and bones. Vitamin D deficiency in mothers can result in pre-eclampsia. Vitamin D is known to benefit your overall health. It improves immunity and maintains good bone health. This vitamin is required mainly for the absorption and metabolism of minerals such as calcium in your body. During pregnancy, at least 600 international units of vitamin D each day should be consumed. Healthy diet with food rich in vitamin D during pregnancy will help you get enough of this vitamin. It is also recommended that throughout the pregnancy you may need 10 micrograms of vitamin D, which should also be continued after delivery and if you breastfeed. However, food rich in vitamin D are fewer in number, and so, a majority of pregnant women tend to have vitamin D deficiency. Sun exposure is the natural source to obtain vitamin D. Food items rich in vitamin D include oily fish such as salmon (rawas) and mackerel (bangda), eggs, milk fortified with vitamin D and fortified cereals. Are You Getting Enough Vitamin D? Available at: http://www.webmd.com/food-recipes/guide/are-you-getting-enough-vitamin-d?print=true. As accessed on 06/05/2016. Available at: http://americanpregnancy.org/pregnancy-health/vitamin-d-and-pregnancy/. As accessed on 06/05/2016. Available at: http://www.nhs.uk/conditions/pregnancy-and-baby/pages/vitamins-minerals-supplements-pregnant.aspx. As accessed on 06/05/2016. Available at: http://www.nhs.uk/conditions/vitamins-minerals/pages/vitamin-d.aspx. As accessed on 06/05/2016. Q.11. How much weight should you gain during your pregnancy? During pregnancy period, the recommended amount of weight gain is dependent on your pre-pregnancy health and your body mass index (BMI). Your baby’s health also determines your weight. The general amount of weight gain that you must consider during pregnancy is shown below in a Table 1. Your diet may also include addition of non-fat powdered milk to mashed potatoes, scrambled eggs, and hot cereal. Pregnancy weight gain: What's healthy? Available at: http://www.mayoclinic.org/healthy-lifestyle/pregnancy-week-by-week/in-depth/pregnancy-weight-gain/art-20044360?pg=2&p=1. As accessed on 06/05/2016. Gain Weight Safely During Your Pregnancy. Available at: http://www.webmd.com/baby/guide/healthy-weight-gain?print=true. As accessed on 06/05/2016. Q.12. What are the risks of being overweight or obese during pregnancy? Gestational diabetes - Increased risk of diabetes is seen in women who are obese during pregnancy as compared to normal women. Preeclampsia - It is a pregnancy complication that develops in women who are obese, which is characterized by increase in blood pressure and signs of damage to organs, especially kidneys. Cesarean delivery – Being obese increases the likelihood of c-section delivery, and also increases the risk of complications during cesarean delivery such as wound infections. Infection – There is an increased risk of urinary infections among women who are obese during pregnancy. Miscarriage – There is also an increased risk of loss of pregnancy in pregnant obese women. Overdue pregnancy – Risk of pregnancy getting delayed is also seen in women who are obese. Several health problems are also seen among babies of overweight and obese mothers, where they show increased risk of birth defects, macrosomia (infant who is larger than normal infant), and childhood obesity. Therefore, losing extra weight before you become pregnant protects your and your baby’s health. By doing this, it also reduces the risk of pregnancy problems that develop due to being overweight or obese. Overweight and pregnant. Available at: http://www.nhs.uk/conditions/pregnancy-and-baby/pages/overweight-pregnant.aspx. As accessed on 06/05/2016. Pregnancy week by week. Available at: http://www.mayoclinic.org/healthy-lifestyle/pregnancy-week-by-week/in-depth/pregnancy-and-obesity/art-20044409. As accessed on 06/05/2016.